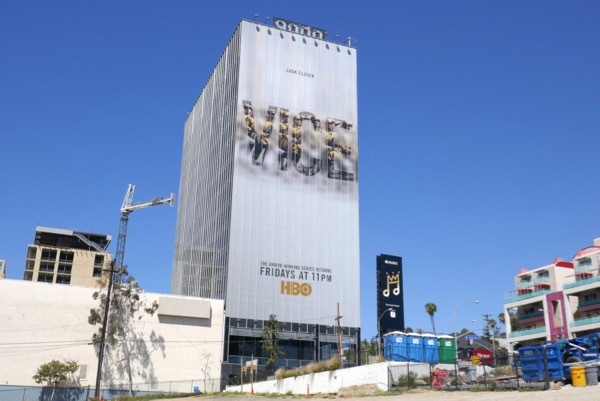 In these troubled times great journalism is more necessary than ever. 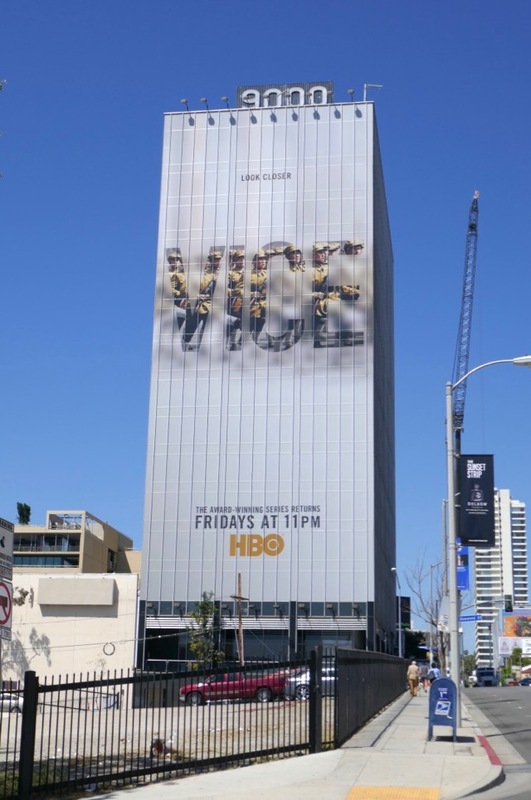 Fortunately Vice has never been afraid to put themselves in the firing line around the world to report on the untold stories that other news channels may not cover. 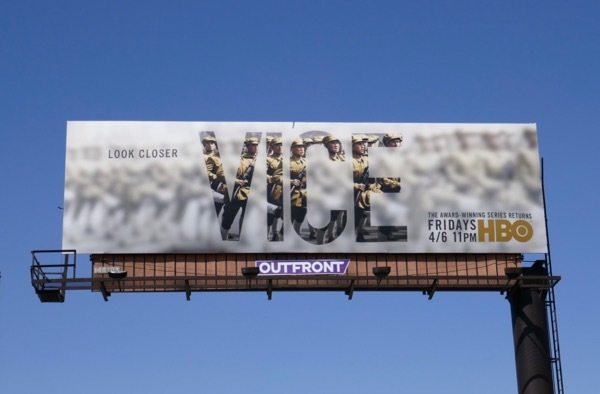 The Emmy Award-winning show is back for a fifth season on HBO and the Vice correspondents continue to tackle and document some of the most pressing issues and events shaping our future, like life in war torn Syria, prison and threats from Big Oil and other environmental concerns. 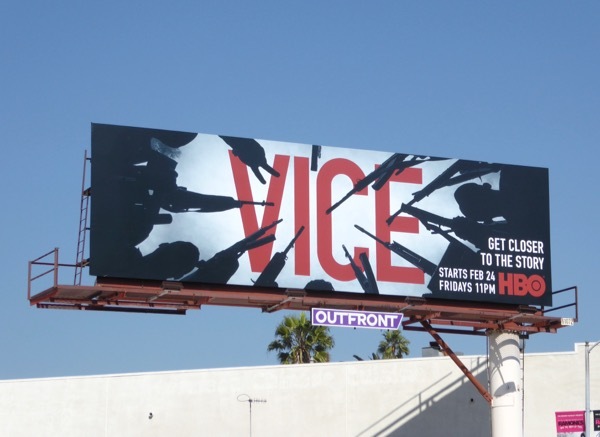 These arresting season five billboards were photographed along Sunset Boulevard, Santa Monica Boulevard and Fairfax Avenue on February 14, 2017. 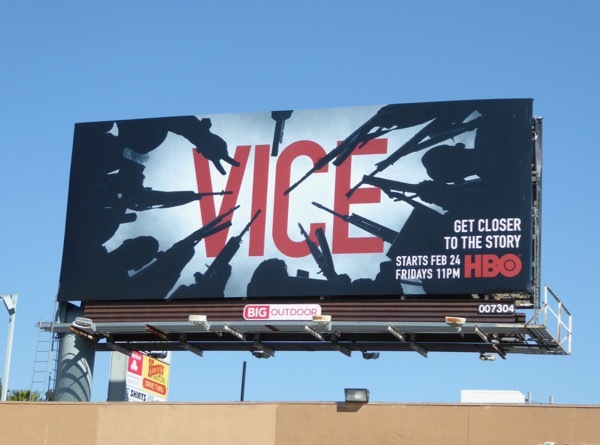 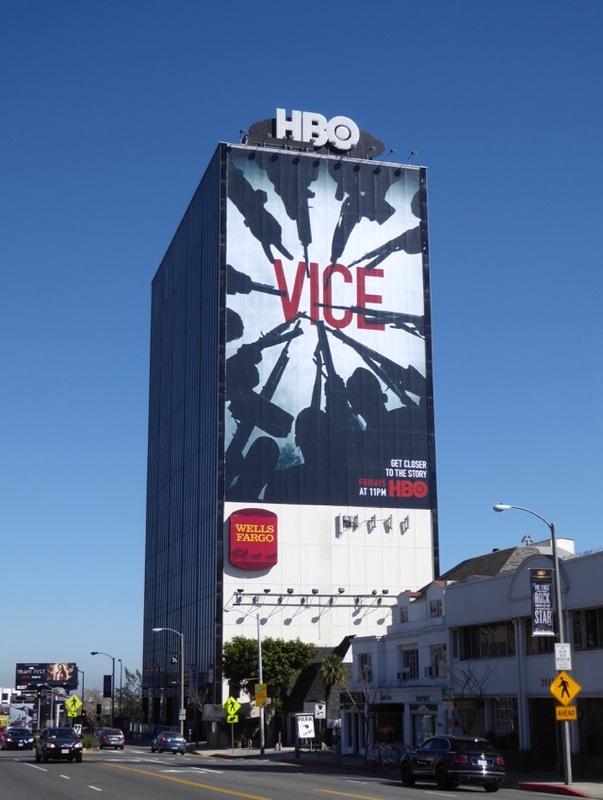 Fans of the HBO series can also check out these previous season promo Vice billboards and also these series launch billboards for Vice News Tonight filling L.A.'s skies in recent years. 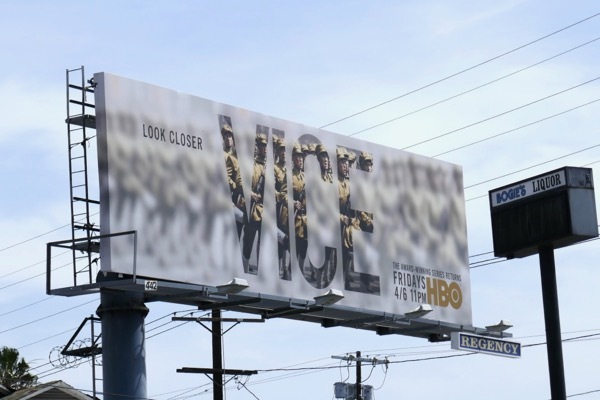 Now more than ever the truth is so important, so let's hope Vice continues to expose the stories that need telling around the globe. 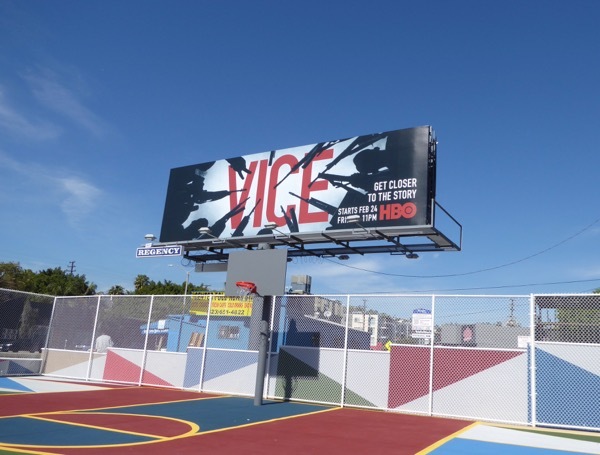 UPDATED: If you thought these standard landscape billboards were eye-catching, then you'll love this giant-sized portrait billboard for the show's fifth season. 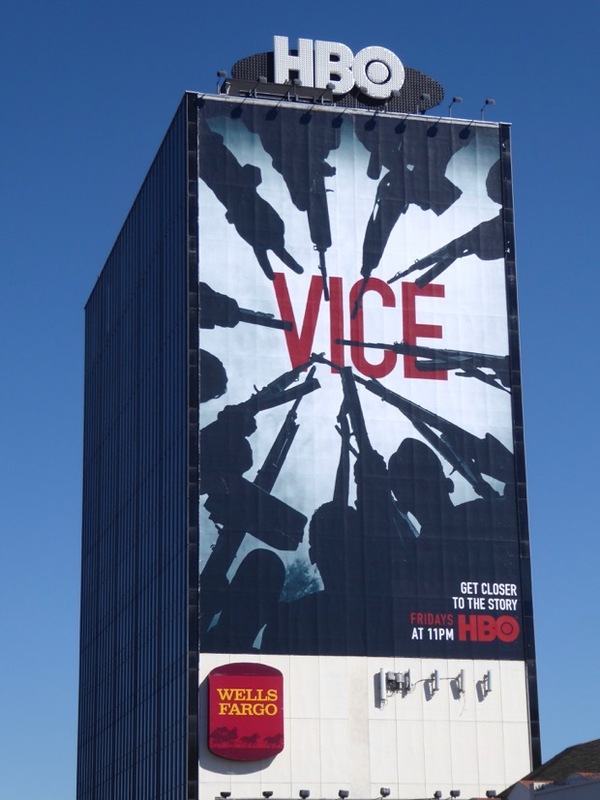 This super-sized billboard was photographed towering over West Hollywood's eastbound Sunset Strip on March 12, 2017. 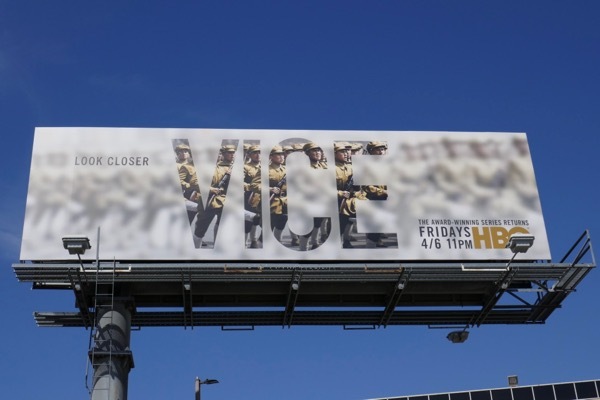 This evocative ad creative for Vice really is a reminder than we're all sadly living under the gun these days. 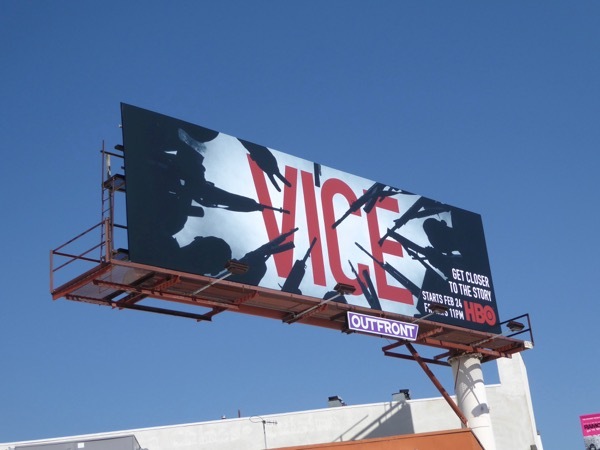 UPDATED: Vice is back in the skies with these season six billboards spied along Melrose Avenue and Olympic Boulevard from April 7 to April 8, 2018. 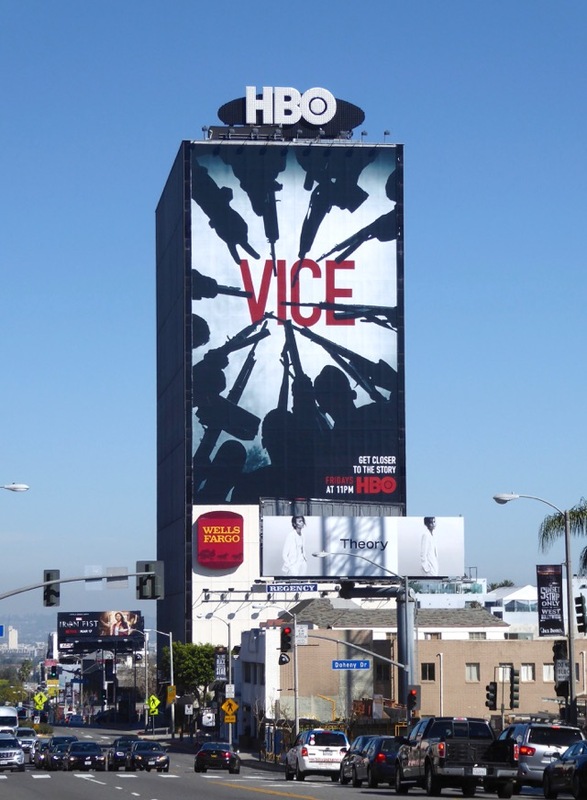 HBO's Emmy-winning news magazine series returns with exclusive reports from China, Iraq, Russia and the Central African Republic covering a wide array of global and domestic issues. 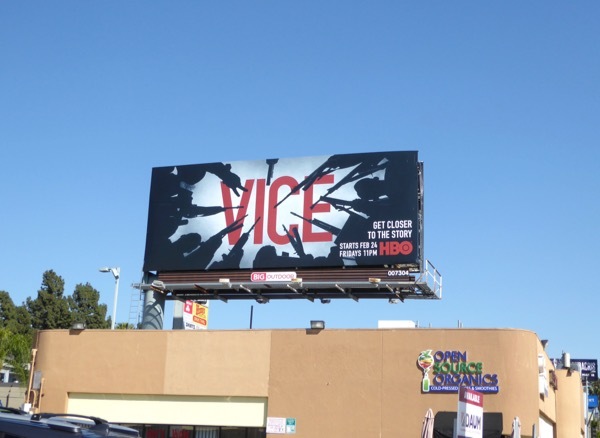 And here's another example spotted above La Cienega Boulevard on April 12, 2018. 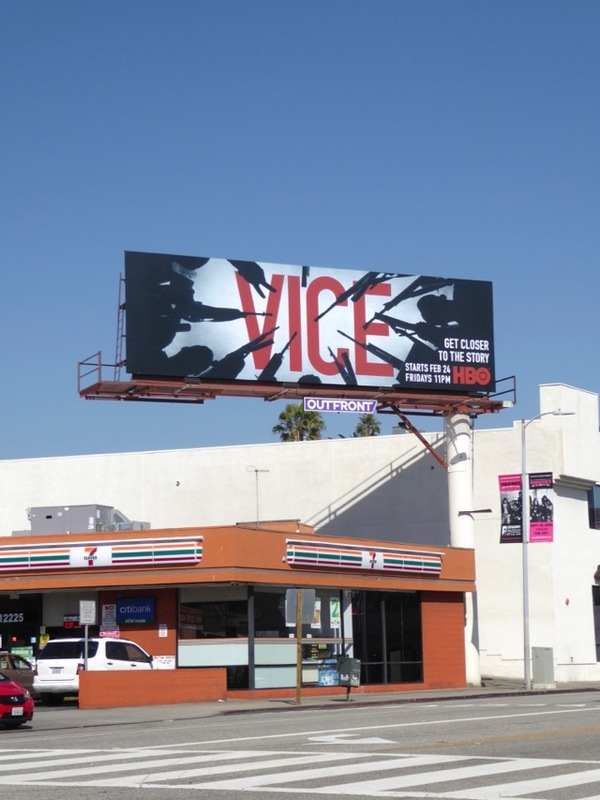 Plus here's a giant-sized version of the sixth season ad creative photographed towering over westbound traffic along the Sunset Strip on April 21, 2018.